Breathe in wafting scents of incense on a journey through the mysticism, history and ancient traditions of Thailand, Laos, Vietnam and Cambodia. Take a trip that takes in the best of Indochina, from the majestic Angkor ruins and the pristine beaches of Sihanoukville to the frenetic pace of Ho Chi Minh City and Bangkok. Soak up the relaxed vibes of Hoi An and Chiang Mai, and enjoy the riverside beauty of Luang Prabang. The warmth and candour of the locals you meet along the way - and the delicious range of cuisines on offer - perfectly complete this all-encompassing adventure. TRIP CHANGES FOR 2018: This trip has had a name change for 2018 and was previously published as "Indochina Unplugged"
Sa-wat dee! Welcome to Thailand. Your adventure begins with a welcome meeting at 6 pm on Day 1. Please look for a note in the hotel lobby or ask the hotel reception where it will take place. Bangkok has much to offer those with time to explore. You can take a riverboat to Chinatown to sample some world-class street food, visit the Grand Palace, wander down the bustling mecca of Khao San Road or indulge in a Thai massage. Start the morning by jumping on a public ferry to Wat Kalayanamit and enjoy an included walking tour around the fascinating Thonburi area of Bangkok. See the mixture of cultures with Buddhist temples and Catholic Churches as you stroll around the Portuguese influenced Thonburi area. Often a spot away from the tourist trail you will experience untouched local villages living by the waterways and visit quaint local markets that have plenty of interesting snacks waiting for you to try. Finish the walking tour at Amulet market and be lured into a shopping frenzy. Enjoy free time in the afternoon for optional activities, you may want to relax with a Thai massage or visit the mysterious Jim Thompsons House. Board your overnight train this evening to Chiang Mai (approximately 13 hours). You will travel by 2nd class and your carriage is air-conditioned. Before you go, perhaps take a longtail boat trip down the Chao Phraya River to explore the famous 'khlongs' (canals) of Bangkok. Life along these canals seems a world away from the busy streets of the capital. Wake up on the train and glimpse the northern scenery as you arrive in Chiang Mai, then transfer to your hotel. Get out and explore this 'Rose of the North', which boasts spectacular temples, delicious food, an enormous night market, a picturesque river-front and excellent shopping. Hiring a bike to get around town is a great activity, or venturing to the Doi Suthep temple 15 km out of town. There is so much to do in Chiang Mai and you have 2 full free days to do as much or little as you like. Adventure seekers, ask your leader about white-water rafting or fly like a bird via the Flight of the Gibbon zipline. Today is a free day and there is many optional activities your leader can help you organise. You could participate in a Thai cooking course or see those amazing Asian Elephants in a visit to the Elephant Nature Park. Take a private minivan to Chiang Khong (approximately 5 hours). Explore this quiet town that sits on the Thai side of the Thai-Lao border. Wat Phra Kaew and Wat Luang are both well worth a visit while you are here. Perhaps rent a bicycle to explore the surrounding countryside and the banks of the Mekong. Your accommodation tonight is a basic guesthouse. This morning you will complete border formalities at Huay Xai before boarding a private boat with your group to begin your two-day journey down the Mekong River (6'7 hours today). While the boat is basic, the journey is relaxed, a lovely way to experience the slow pace of village life and gorgeous scenery along the river. Dock at the small trading port of Pak Beng in the late afternoon and spend the night in a basic guesthouse. Notes: Prior to the boat's departure, ask your leader for help purchasing food and drinks for the journey if you need some. It can also be quite cold between November and February, so make sure you have some warm gear packed. Due to dam construction upstream, water levels are not as reliable as in previous years. When the river is at its lowest (February to April), groups may need to take a bus to Pak Beng instead of the boat. This is due to safety reasons and is advised by our local operators. Board the boat again and cruise downriver at a leisurely pace to Luang Prabang (6'7 hours). Arriving late afternoon, you'll have time to hit the highly recommended night market food stalls, a great place to mingle with the locals and enjoy a meal with fellow travellers. With temples and French colonial villas lining the Mekong under blazing orange skies, you can see why this city has a reputation for exotic beauty. Join your guide for a walk around the local area, learning more about Lao culture at the temple of Wat Pha Mahathat. Today and tomorrow are then yours to spend as you please. Today and tomorrow are then yours to spend as you please. Take the time to explore the local market by day, where the textiles made by local women will amaze. You can also make the steep climb up Mount Phousi, the spiritual and geographical heart of the city and a prime location to see the sunset over the Mekong. Your leader can help you organise many optional activities today. Kuang Si Falls, a spectacular spot to swim, is well worth a visit. Also at the gate entrance to the waterfalls you will have the chance to stop by the Tat Kuang Si Bear Rescue Centre where you can see the wonderful work this center is doing to rescue bears from poachers and provide them with a home. If you want to learn more about the local cuisine you can enjoy a cooking demonstration in the heart of town. Take a private mini bus through dusty villages and winding mountain roads to Vang Vieng (approximately 7 hours). The mountain scenery en route is as impressive as that of your destination. Situated on the Nam Song River, Vang Vieng is surrounded by towering limestone karsts. The standard of accommodation in Vang Vieng is basic but comfortable. Vang Vieng is known as an adventure town, thanks to its unique and varied surrounding country. Its many local caves are easily accessible and make for great day trips or half-day trips. Notably, Tham Chang, with its beautiful cavern fed by a natural spring, is an interesting swimming hole. Those looking to relax or perhaps learn more about local niche industry can visit the organic mulberry farm just outside town and enjoy a meal there (guided tours of the farm are available). Take a beautiful local bus ride through roadside villages to Vientiane (approximately 4 hours). Enjoy the slow pace of what is possibly Asia's most laid-back capital city. On a guided walk you will visit the key Buddhist sites Wat Si Saket and Haw Phra Kaew, and continue on to Patuxai (Victory Gate) for unsurpassed views over the city. You will also visit COPE, an Intrepid Foundation-sponsored organisation dedicated to assisting those who have been injured by the multitude of unexploded ordnance across the country. Today is a free day. Be sure to sample some of the top-quality cuisine on offer here, from French to Laotian and everything in between. Follow tracks along the river to find villages full of friendly children, dogs and chickens. Or perhaps hone your newfound Lao language skills at the morning market, which is in fact open all day and is full of local treasures. A further option is a tuk-tuk journey to Buddha Park. Today you will fly from Vientiane to Hanoi (approximately 1 hour). As this is a combination trip, your group leader and the group members may change at this location. There will be a group meeting to discuss the next stage of your itinerary, and you're welcome to attend, as this is a great chance to meet your new fellow travellers. Acquaint yourself with the streets of Hanoi in your free time. Travel by private minibus for about four hours to the spectacular World Heritage site of Halong Bay. This is one of Vietnam's most beautiful places, a secluded bay of emerald waters flecked with sandstone islands and caves. Here you'll go on a cruise to explore the rock formations and caves and, in the warmer months, go for a swim from Ti Top Island Beach or perhaps go kayaking. You'll also enjoy a sumptuous lunch of fresh seafood. Spend a night onboard your boat in Halong Bay, with gentle waves rocking you to sleep. Disembark from your boat in Halong Bay at around midday and take a three-and-a-half hour bus ride back to Vietnam's charming capital, Hanoi. Arrive back in Hanoi at around 4pm. Back among Hanoi's French provincial feel, left over from its colonial times, have some dinner with the group before boarding an overnight train for a twelve-hour journey to Hue around 6pm. Although conditions are basic, overnight trains are the best way to travel long distances and brush shoulders with the locals. Most trains have a dining carriage which serves simple food, but some travellers like to take some fresh bread, cheese and fruit for the journey. As the former imperial capital of Vietnam, Hue holds the treasures of Vietnam's royal past and is a curious mix of bustling streets and tranquil settings. Packed with historic monuments, Hue is also perfectly located to explore the surrounding countryside, which features stunning scenery, quaint villages and the peaceful Tam Giang Lagoon. Hue is Vietnam's former royal capital and its cuisine is considered by many Vietnamese as the best in the country. Hue's cuisine is influenced both by its imperial heritage (small dishes and a focus on aesthetic presentation) as well as its strong Buddhist heritage, reflected in the high proportion of vegetarian restaurants in the region. The bustling Dong Ba Market offers a plethora of goods and foods to see and sample, and it's a good place to try some of the specialities that graced the Nguyen emperors' banquet tables, such as the banh khoai, a royal rice cake. You have a free day to explore. You could also easily spend a couple of hours exploring Hue's massive walled citadel and the Forbidden Purple Palace enclosed within. Perhaps jump on board a 'Dragon Boat', and enjoy a cruise up the Perfume River to visit the Thien Mu pagoda. Or cycle out to one of the Royal tombs such as the tomb of Emperor Tu Duc, one of the best remaining examples of its kind. Alternatively, set off on an optional motorcycle tour of the sights in Hue and some surrounding villages. Continue on your journey to the World Heritage site of Hoi An, where your leader will take you on a walk around town. The city was a major trading port with the west from the 17th century onwards, and has a various architectural influences from Europe, China and Vietnam. Today the city is being restored and looks exactly like it did over a century ago. The rest of the day is free for you to do some optional activities or soak up the ambience of the place. You may like to wander Hoi An Market and the street stalls selling paintings, woodwork, ceramics, lanterns and much more. It's also famous for its talented tailors who can make beautiful items to order within a few hours. Enjoy a free day to further explore Hoi An. Perhaps take a cruise up the Thu Bon River or learn the secrets of cooking delicious Vietnamese dishes. Visit some of the man art galleries or simply wonder around the beautifully restored Chinese shop houses. There's also the option of cycling around the surrounding countryside, a truly unique way to get off the beaten track and see rural Vietnam up close. Your leader will be able to suggest activities to help you get the most out of your time. Make the most out of your last free day in Hoi An. Perhaps do some of the activities you couldn't fit into your schedule over the past couple of days. There's Also Cua Dai Beach nearby, the perfect place to rest up before continuing on your way. This evening, board another overnight train to Nha Trang. The journey will take about eight hours. Arrive in Nha Trang at around 7am and transfer to your hotel. Nha Trang is a charming town on Vietnam's southeast coast with pristine beaches, consistently good weather, a vibrant nightlife and excellent diving. You have two full days to catch some rays, swim, snorkel and indulge in fresh seafood. Enjoy your last free day in Nha Trang. In the evening, you'll get on another overnight train to Ho Chi Minh City (approximately 7 hours). Arrive in Ho Chi Minh City very early this morning and transfer to your hotel. Today you'll have plenty of free time to explore Vietnam's largest city. Ho Chi Minh City has a busy atmosphere and a French influence. In your free time, we recommend visiting the Reunification Palace and the War Remnants Museum. There's also the historic Dong Khoi Street, and the chaotic markets of Ben Thanh and Cholon (Chinatown). Ho Chi Minh City has a different style of cuisine to its northern counterpart Hanoi, so be sure get out for restaurant meals and street food. Today you may be required to move to a different hotel in Ho Chi Minh City, for the next section of your trip. Your leader will let you know if this is the case, and will help with the transfer to the next hotel. Today is a free day for you to enjoy the sights of Ho Chi Minh City. Visiting the Cu Chi Tunnels is a recommended optional day trip. Your group leader and members may change again here. There will be a group meeting to discuss the next stage of your itinerary and you are encouraged to attend and greet your new companions. Travel by public bus through rural Vietnam and Cambodia to Phnom Penh (approximately 6'7 hours). Cambodia's capital city is set on a major junction of the Mekong and Tonle Sap rivers and boasts some fine examples of French-inspired architecture. You may want to take a cyclo tour of the city's sights, including the central market, US Embassy, Wat Phnom, Mekong river front, independence monument and Royal Palace. If you're in the mood for shopping, stop in at the art-deco Psar Thmei (Central Market) or travel out to Psar Tuol Tom Pong (the Russian Market) for the best range of local souvenirs. Travel by private bus (approximately 3 hours) into rural Cambodia to the region of Kampong Speu and village of Chambok. There's a lot of natural beauty to discover here, from waterfalls to swimming holes to bat caves nestled in the mountains. The Chambok community is renowned for its ecotourism. Tonight you'll join a local family in their home ' a wonderful opportunity to participate in everyday Cambodian life. In the evening, enjoy a traditional Khmer dinner. You'll also be treated to a traditional dance performance while you're here. Notes: Facilities on this homestay are basic and multi-share. Mattresses, bedding and mosquito nets are provided. A private bus takes you to Sihanoukville today (approximately 4 hours). Named after the Cambodian royal family, this town has miles of lovely beaches and warm, welcoming people. It's also a jumping-off point to many beautiful islands. Settle in and perhaps take a refreshing swim. Enjoy a day of free time. There are a variety of exciting optional activities on offer. You can take a boat to one of the nearby islands, enjoy a barbecue lunch or simply relax among swaying palms, white sands and blue waters. Perhaps make the trip out to Ream National Park, which boasts 21 hectares of coastal mangrove forest and a great variety of animal and bird species. You may like to take a Khmer cooking class, or perhaps partake in some windsurfing or kitesurfing. Travel by private bus back to Phnom Penh (approximately 4 hours). Visiting the Choeung Ek Memorial is highly recommended. This is the site of the Killing Fields, the execution ground for the torture victims of Tuol Sleng. Alternatively, learn about a brighter period of Cambodian history by visiting the Royal Palace and Silver Pagoda. Wat Phnom, shrouded in myth, is equally worth a visit, as is the National Museum and its excellent Khmer collection. Perhaps indulge in a traditional massage at Seeing Hands massage parlours (a great social enterprise supporting the talents of visually impaired masseurs). Travel by private bus to the riverside town of Kompong Cham (approximately 3 hours). This peaceful town was once an important trading hub and is now a great opportunity to experience life in small-town Cambodia. You might like to explore the serene 11th-century Wat Nokor. Alternatively, hire a bike to explore the rural island of Koh Paen which is linked to Kompong Cham by an elaborate bamboo bridge (it's passable only in the dry season; you'll have to take a ferry across in the wet). The locals here make their living fishing, growing tobacco and sesame, so it's a good place to go for a closer look at some of Cambodia's cottage industries. A little further afield are the twin 'mountain temples' of Phnom Pros and Phnom Srei. Take a public bus to Siem Reap (approximately 5 hours). Experience rural Cambodia along the way and take the opportunity to sample the local cuisine of Skun ' deep fried spiders! The small but expanding town of Siem Reap is the gateway to Angkor. This is the most popular destination for travellers in all of Cambodia, perhaps even in South-East Asia. The markets are a great place to shop or to try some cheap, delicious street food. Today you will visit the world-famous Angkor complex with your guide. These temples were built between the 9th and 13th centuries when the Khmer empire was the pre-eminent influence in South-East Asia. The temples were believed to represent the cosmic world and were set in perfect balance, symmetry and composition. The intricately carved bas-reliefs and architectural designs are mind-blowing and there are spectacular photographic opportunities at any time of day ' seeing them at sunrise or sunset is a must. The ruins are scattered over an area of some 160 square kilometres, but the main cluster of temples is close to Siem Reap. You'll have plenty of time to fully appreciate the great archaeological sites of Angkor Wat, the Bayon and the jungle-covered Ta Prohm. Notes: A single-day Angkor Pass is included on this tour. If you'd like to return to Angkor outside of your included visit, you can buy a longer pass. Just ask your leader. Today there may be a chance (depending on the season) to visit Tonle Sap Lake for a look at local life. If you feel like some adventure, another option is to do the Angkor zip-line course, which gives you a birds-eye view of the beautiful rainforest ' and an adrenaline rush, of course. Another option is to visit the sobering Landmine Museum. It's located a little further field, but is well worth the journey. It's a long drive from Siem Reap to Bangkok (approximately 8'9 hours including border crossing and lunch). You'll be travelling by private minivan. Embrace Thailand's bustling capital, a world of tuk tuks, khlong (canal) boats and street vendors serving up delicious Thai food. Head out with your new found friends for a last optional group dinner and find out why this city never sleeps. There are no activities planned for the final day and you are able to depart the accommodation at any time. 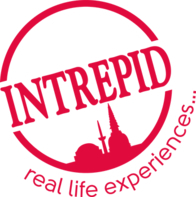 If you are wanting to stay longer in Bangkok check out one of our many Urban Adventure tours.